We’re excited to announce the beginning of the LifeWay Kids podcast! 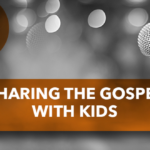 We’ll bring you new podcasts every two weeks discussing essential topics in kids ministry. Check out Episode 1 – Teaching Bible Stories While Teaching the Big Story below. 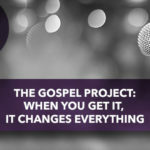 Today’s post features our Team Leader for The Gospel Project for Kids, Brian Dembowczyk. 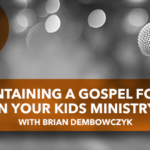 Brian Dembowczyk served in church ministry for over 16 years before coming to LifeWay. During that time, he served as a student pastor, children’s and family pastor, discipleship pastor, executive pastor, and lead pastor. Brian earned an M.Div from the Southern Baptist Theological Seminary and a D.Min. from the New Orleans Baptist Theological Seminary. He and his wife, Tara, have been married for 14 years and have three children, Joshua (10), Hannah (7), and Caleb (3). 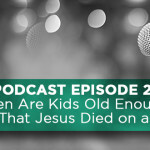 Podcast Episode 2 – When Are Kids Old Enough to Hear That Jesus Died on a Cross?